Bidvest Wits chairman Brian Joffe says he would like coach Gavin Hunt to stay at the club. 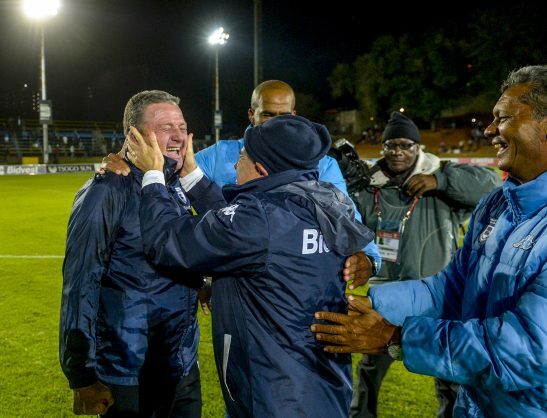 Joffe’s remarks come after Hunt led the club to a historic first Absa Premiership title with a game left to play before the end of the league. Hunt’s four-year deal expires at the end of June, with the last game on the season scheduled for May 27 against Kaizer Chiefs. “He’s staying because he’s got a contract with us. If he goes away, I will fetch him,” Joffe said. “We are proud of the players to achieve this. It’s a great moment – a first [title] in over 90 years. Immediately after we got involved, we were relegated [in 2005], but we bounced back strongly the following year.